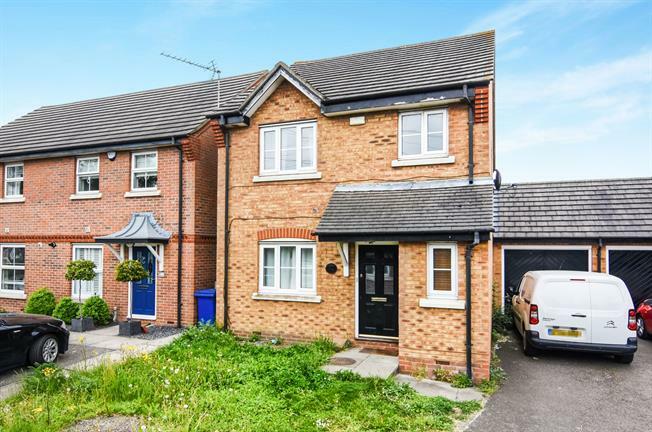 3 Bedroom Detached House For Sale in Grays for Asking Price £390,000. Looking for a property close to the station? In a quiet cul-de-sac location? Close to schools? Then call us immediately to avoid missing out on this three bedroom detached family home. Internally the property benefits from an entrance hall, cloakroom, good size lounge and a modern fitted kitchen/diner with integrated appliances. To the first floor there is a three piece family bathroom suite and three bedrooms with the master having the added benefit of an en-suite shower room and fitted wardrobes. Externally there is a pleasant rear garden and parking is provide by a garage and off street parking. An internal viewing is advised.